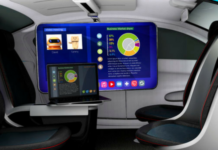 Home Autonomous Cars Autonomous Cars – Are You Ready for the Future of Automobiles? A debate exists regarding autonomous vehicles. There is a faction that associates them with ride-sharing, which isn’t exactly welcomed news for dealerships. 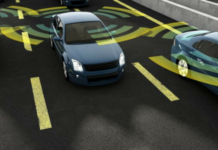 There is also a belief that these autonomous cars will go to an underserved segment of society that will help boost the percentages of car ownership. Autonomous cars are believed to be a step toward improved mobility for a growing population whose driving skills are questionable. These cars will not only extend vehicle ownership, but also provide a means of mobility for many Americans, some of whom are poor, who don’t currently own a vehicle. Even if ride-sharing does have an impact on the numbers, it’s believed that for those equipped with autonomous cars, they’ll use them more, bumping up the mileage averages, which results in more vehicles being serviced and replaced. Does this mean that you can kick up your heels and just wait for a flood of autonomous car fanatics to flock to your dealership? Probably not. Your marketing will have to be just as robust as it is now, if not more. However, one thing that will change is the way you communicate with your clients. You’ll also have to bump up your telematics integration capabilities, shore up inefficiencies in shop management and look for ways to facilitate autonomous cars bringing themselves in for service. Forbes featured an article last year that referred to autonomous cars as the “future of mobility.” This is in spite of the fact that heavyweights like Ford are envisioning cars without steering wheels, gas pedals or brakes. It’s not how we’re used to thinking about automobiles, which is why it’s difficult to believe, in some ways, that it truly is going to be the future of automobiles. Ford is looking to make its first shipment of self-driving cars in 2021. They don’t want to run into the same mistakes that other massive companies made when technology left them behind. Think of Blockbuster Video, Kodak, etc. The companies that don’t evolve and accept new models of doing business will indeed be left in the dust of companies that embrace newness and change. How are people at your dealership preparing for the inevitable introduction of self-driving cars into the marketplace? 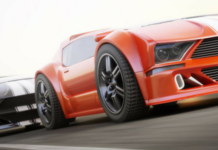 Previous articleCar News: Who’s Driving the Coolest (and Craziest) Cars?